If the tire pressure light in your Toyota 4Runner, Tacoma or Tundra comes on. Here's what you'll need to do. This article applies to the Toyota 4Runner, Tacoma and Tundra. A number of things can affect your tire pressure monitoring system, including seasonal changes. In most cases, however, a persistent warning sign on your dashboard is an indication that the tire pressure in your tires is either too low or too high, your tire tread has been severely compromised or your overall system (e.g., sensors, valve stems) is failing. While you might be tempted to head down to the dealership right away for diagnostics, we recommend holding off—at least until you attempt these easy at-home fixes. If the problem is still there when you're done, then, certainly, by all means make that service appointment right away. In the meantime, let's get started! Your tires might need more air pressure. Your tires have a maximum inflation pressure. If they rise highly above this pressure point, they run the risk of blowing up (an extreme outcome), or causing a severe decrease in ride and handling. If they fall below this pressure point, they run the risk of reducing your fuel economy or minimizing your stopping distance. Using a tire pressure gauge, check the PSI in each tire. Increase or release (excess) air pressure as needed by pressing the tire gauge against the open valve stem and either letting air out or adding new air into the tire. Drive your truck a few miles as you allow your tire pressure monitoring system to reset and the warning light to leave your dashboard. 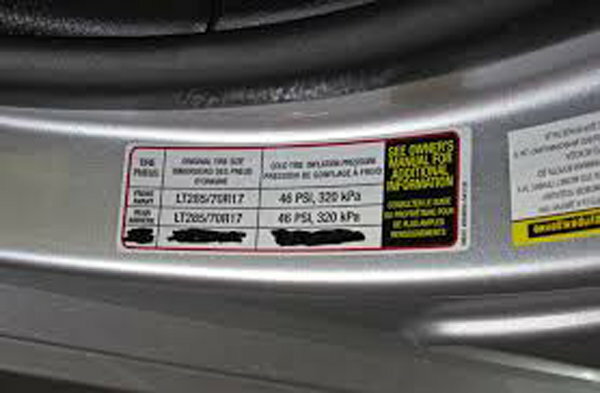 Be sure to check your spare tire as well (even it is monitored by your tire pressure monitoring system). Figure 1. PSI is listed on the driver's door frame of your truck. It might be in poor condition. As the tire pressure in your tires fluctuates, your tires can loose tread. By checking them, you can reduce your risk for a collision. 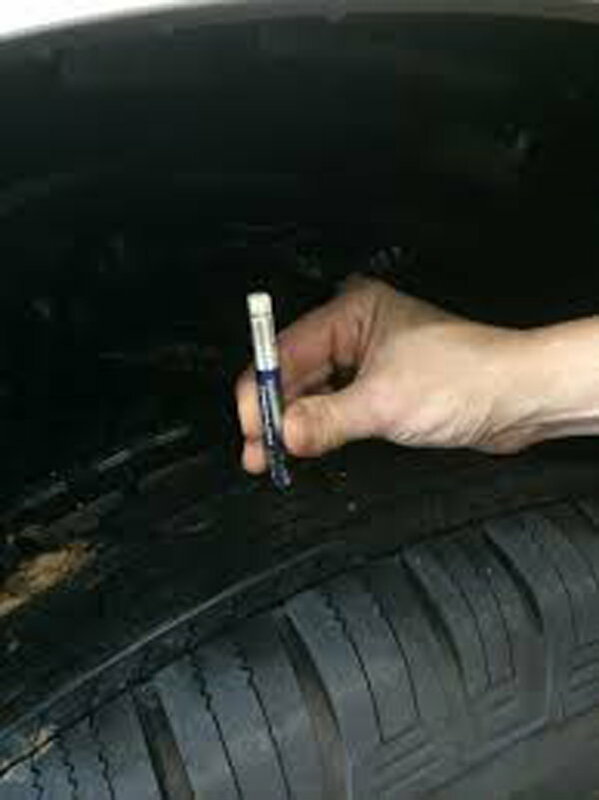 Use a tire tread gauge to check your tire tread. It's highly recommended that you replace your tires before they reach 2/32" of remaining tread depth. Driving conditions also play a factor when it comes to how well your truck can safely travel over road as tread depth diminishes. Figure 2. Check tire tread. The batteries might be dying. While lifespan varies among batteries, it's generally agreed that TPMS sensor batteries should last anywhere from five to 10 years. However, it's important to have them checked if you believe one or more sensor is failing. Run your trouble codes using an on-boarding diagnostics tool to get an accurate read on what's happening with your truck. Use a TPMS sensor tool to test, reset and diagnose potential problems with your sensor(s), including your valve stems, which should also be checked. If you do not have the above tool, you can either visit a local mechanic or see your local Toyota dealership for help. When replacing dead batteries, it's highly recommended that you follow the instructions listed in your particular owner's manual to ensure you complete the job properly and without harming the functionality of your TPMS. Figure 3. 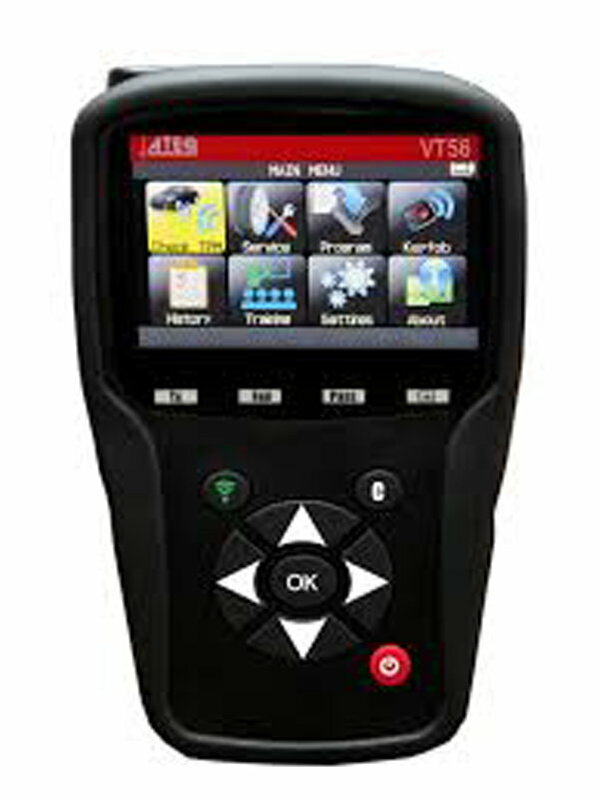 TPMS tools are available for purchase at a price of $200+. If the warning light on your dashboard continues to blink without turning solid at any point, the most likely culprit is a permanently damaged sensor, which would need to be replaced.